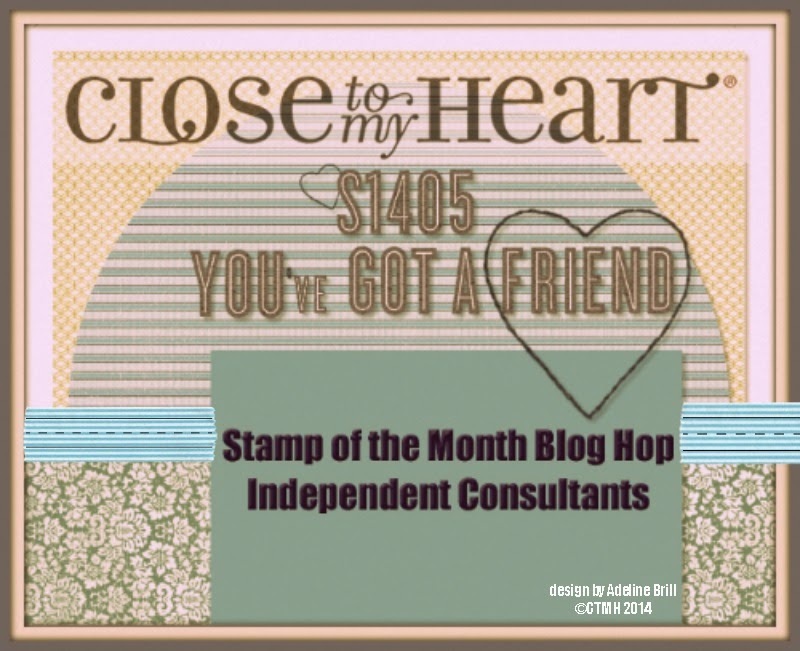 We are featuring May's SOTM, which is You've Got A Friend, a set of 5 stamps. 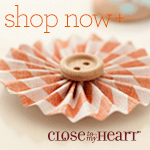 If you have come here from Terry Ann's Blog, you are on the right path! The blog hop is a great big circle, so you can start here and work your way all around. If you get lost along the way, you’ll find the complete list of participating consultants here on Kathleen's blog. I paired this month's SOTM with one of my favorite papers from the Jubilee paper packet X7181B. Most of the cards are matted on Outdoor Denim cardstock. Other cardstock used are Cranberry, Topiary, and Honey. 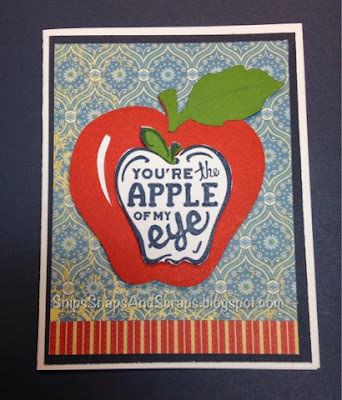 Additional Supplies: Although we have hundreds of shapes on our Cricut cartridges, I didn't find an apple. So if anyone else has found one, please let me know. 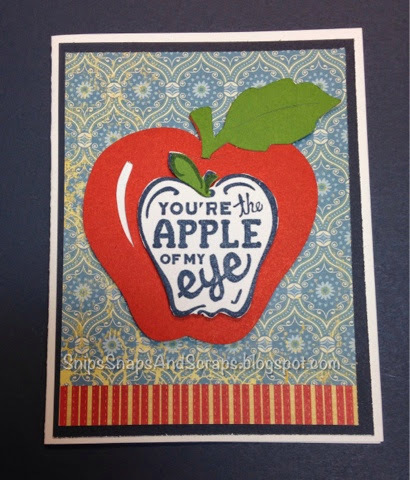 I found this apple on another Cricut cartridge I had for school projects. Additional supplies: Red Shimmer Trim Z1848, 3D foam tape. I kept seeing a face whenever I looked at this stamp. So to I had to add googley eyes to bring a face to this humorous thank you card. 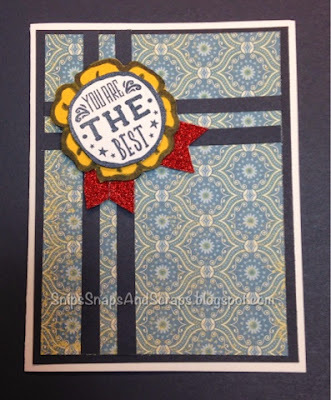 Shimmer trim was also used on this card. Additional supplies: Cranberry Baker's Twine Z1751, Bitty Sparkles Z1263 on the stars, and retired Stardust Glitz gel on the moon, and 3D foam tape. The moon craters (not too visible here) were created with a texture stamp. Additional Supplies: Owls B1450, a fine line black journaling pen, googley eyes for a little extra personality, 3D foam tape, and Hook and Loop Dots (Z1805) to keep the flap part of the card closed. 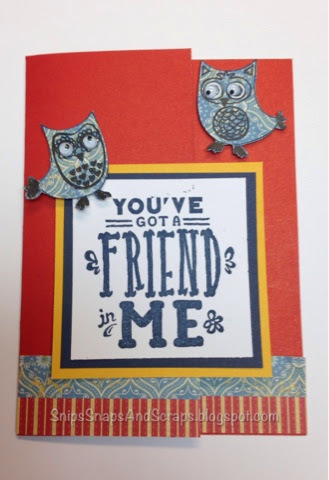 Now "hop" on over to Pam's Blog to see what she's crafted for this hop. 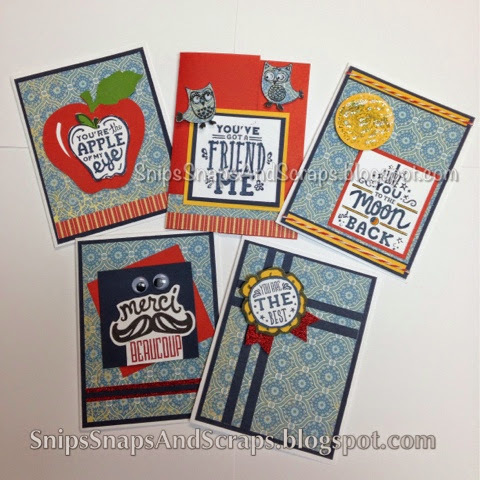 Be sure to visit all the consultants' blogs to get some creative ideas for this stamp set. Remember the May SOTM is only available until May 31rst! 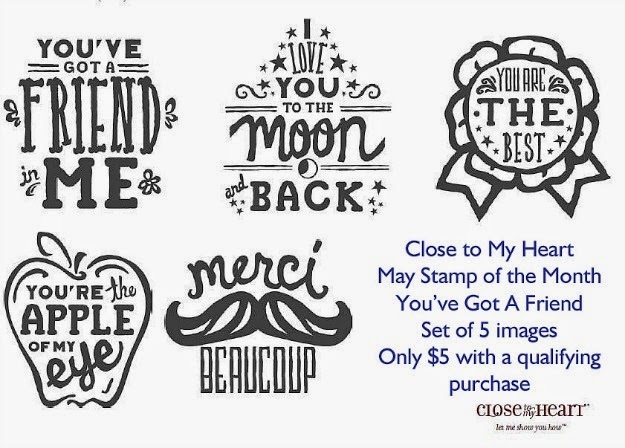 Contact your CTMH consultant (or click here) to see how you can get this $17.95 stamp set for only $5. 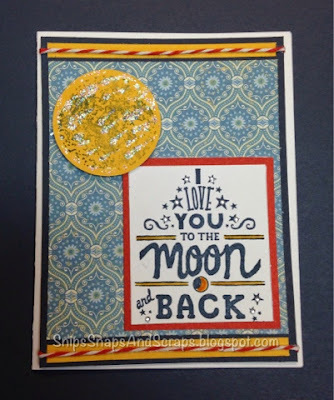 You really rocked this stamp set! Fantastic cards! love the googly eyes! Great use of the paper pack! Love the variety. TFS!